Springdale Martial Arts for Kids and for Adults !! When your searching for Training Inferno Martial Arts is your premier location for Martial Arts training in the Springdale area. We are located in the Ozark Point Place shopping center on Sunset Ave just West of I-49. Inferno Martial Arts Springdale is conveniently located to serve the Springdale, Johnson, and Tontitown areas. You can find us right next to Fun City and Fitness 4 Less. With a robust list of programs including 3 and 4 year old Martial Arts called Little Dragons, Warrior and Teen programs for kids ages 8-17, adult kickboxing, and adult BJJ, Inferno Martial Arts has the right fit for whatever your family’s needs may be. 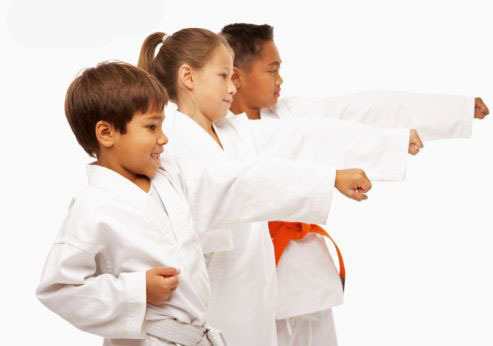 Our kids programs are led by a team of professional instructors that are experts in helping your children develop strong martial skills, athletic ability, but also more importantly they are capable of developing the Black Belt characteristics such as confidence, self control, discipline, focus and respect. When your driving on 412, just past Harbor, look over on the North Side and you will see us! Inferno Martial Arts Springdale’s adult programs are designed to fit a range of needs as well. If you are simply looking for a great workout, the kickboxing programs are a fun, fast paced way to work your cardio while having the opportunity to develop a useful life skill such as Self Defense in the process. If you are looking to compete in MMA, Kickboxing or Brazilian Jiu-Jitsu, Inferno has a long history of competitive success with undoubtedly the deepest roster of resources in the area to help you achieve your goals. Lastly, if you are just looking for a fun activity, all of Inferno Martial Arts Springdale classes are ran in a fun, easy-going style that provides a welcoming environment for all. Next time you are searching for Martial Arts in Springdale, make sure to stop in and checkout the great programs going on at Inferno Martial Arts. You don’t want to miss out on the world-class training opportunities right here in Northwest Arkansas. Click Here for More information!